New-York based Marina Franklin is emerging as one of the hottest comedians in the comedy scene today, with such notable appearances as, The Movie Trainwreck, Stephen Colbert’s Late Show, Conan O’Brien, Louie Season V, The Jim Gaffigan Show, Showtime’s Women Who Kill, and The Chappelle’s Show. She is a favorite in Comedy Festivals across the world, like Melbourne Comedy Festival, Scotland’s Glasgow Comedy Festival, BBC’s World Stand’s Up, Rotterdam’s Comedy Factory, Montreal’s Just For Laughs, Ireland’s Kilkenny Comedy Festival, and Nashville’s Bonnaroo Music Festival. Franklin is viciously like-able, if there is such a thing. 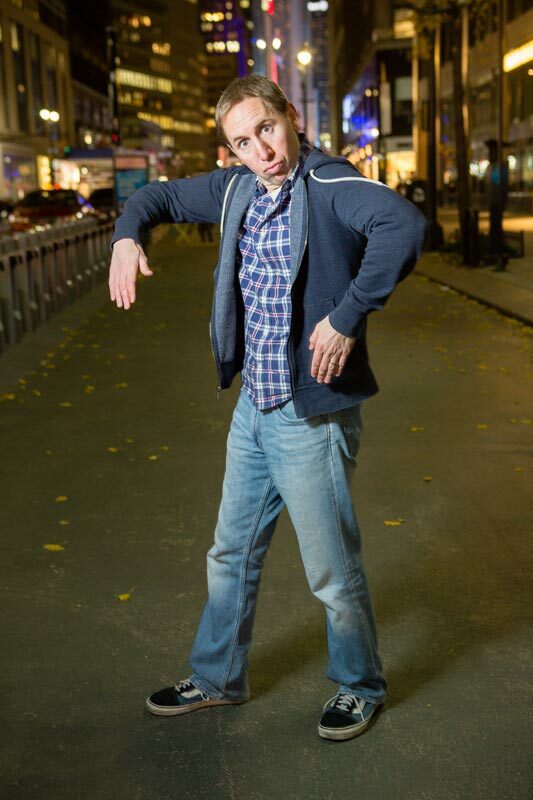 Cory Jarvis is a stand-up comedian, actor, and writer living in New York City. He performs nightly at comedy clubs, as well as independent shows, all over the city. Cory has appeared on the Travel Channel, AXS TV, Funny or Die, and in a national Diet Coke commercial. His writing has been featured on EpicThings.com, Best Week Ever creator’s App “This Just In,” and Metropolis Magazine. His story about starting comedy in Tokyo was featured in Reader’s Digest, and he recently wrote and directed a comedic short movie about the people who dress as characters in Times Square. In 2017 he was selected by the Writer’s Guild of America for an exclusive yearlong writer’s fellowship which will culminate in him pitching the screenplay and sitcom he’s working on. He was also named one of GoodDeedSeats.com’s top 40 up-and-coming comedians, and was most recently selected to headline world famous Caroline’s Comedy Club. Cory’s comedy festival credits include the Laughing Devil Festival (2014), New York Comedy Festival (2013, 2014) Hoboken Comedy Festival (2014, 2015), and Laughing Skull Festival (2016). He also is an Air Force Veteran, lover of all things burrito, dance master never, and a rabid Sci-Fi dork. 5:45 Workshop – Private for your team, hosted by Walt Frasier (Letterman, Blue Bloods, Royal Pains, LIlyhammer). Walt has worked with multiple teams from BING/Microsoft, Twitter, JP Morgan Chase, BDO, Louis Vuitton, Morgan Stanley, Ernst & Young, Home Depot, and 100’s more including accountants US Medicare. Great for building a stronger team as well as developing better management, sales and service skills. Walter can host at one of many comedy clubs and/or rehearsal studios or travel to your office. Full two hour workshop includes warm-up, master class in Improv and more in depth work with psychological safety, as put forth in project Aristotle (Google 2015). Improv is a fun way to help your team achieve Psychological Safety. Our #1 governing rule, YES AND…, is all about supporting everyone on the team. We help you enter the LEARNING ZONE, where performance drive is balanced with a supportive environment and everyone on the project feels they have value on the team. This requires the entire team and management to be on board. IS YOUR TEAM PSYCHOLOGICALLY SAFE?